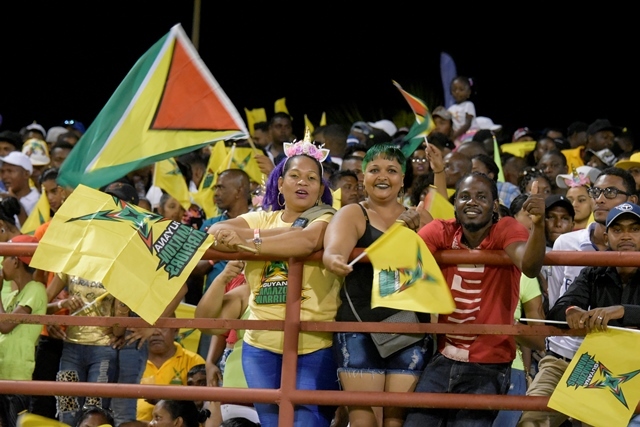 The Guyana Amazon Warriors are regrouping after clashing with the Barbados Tridents last evening. The Tridents posted a mammoth score of 185 for the loss of four wickets, the highest T20 total ever scored at the Providence Stadium. However, the Warriors fell short by 30 runs making just 155 for eight wickets in their allotted 20 overs. Overcoming a shaky start of 11 runs for two wickets at the end of first two overs, the Tridents made a strong comeback following a brilliant inning by Shai Hope and Steve Smith. Hope scored 88 runs off 45 balls after hammering six fours and six sixes. Smith made 41 runs off 37 balls before losing his wicket via lbw [leg before wicket] in the 14th over to Imran Tahir who broke the 105 runs partnership between the pair. 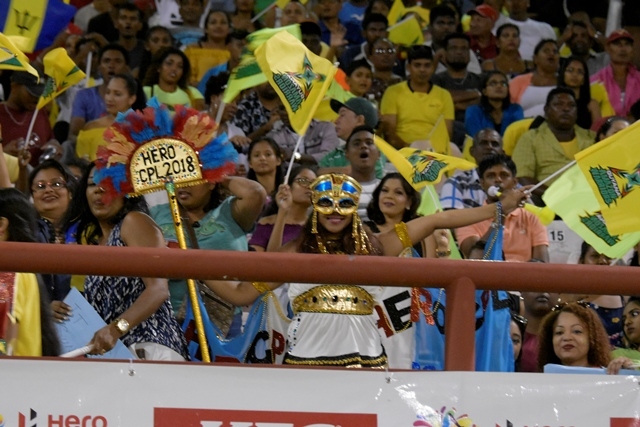 This did not deter the Barbadian team who continued to dominate the bowling attack of the Warriors as the boundary became a magnet for the batsmen Nicholas Pooran and Hope who formed a 39-run partnership. Pooran finished with 45 runs off just 27 balls. “I am very pleased, it was a great start to the tournament, we did not get to a great start with the bat but it is nice to see that the guys could play together and put up a good total” Man of the Match, Raymon Reifer stated. It was Reifer’s five-wicket haul that ensured the Warriors fell short of the required runs. The Guyana team also got off to a shaky start which stayed that way during much of their innings. Chadwick Walton was the first to leave the pitch after a lbw [leg before wicket] decision by the last ball of the second over, bowled by Captain Jason Holder. At the end of the fifth over, the Warriors were 40 for the loss of three wickets. Reifer’s bowling brilliance ruined the Warriors pursuit taking back to back wickets of Luke Ronchi and Shimron Hetmyer. The two wickets placed a dent on the Warriors who did not intend to go down without a fight even though they were being restricted by the Trident’s bowling attack having just 130 runs for the loss of three wickets at the end of the 15th over. Sherfane Rutherford and Shoaib Malik would form a much-needed partnership of 84 runs. However, trouble loomed when Ashley Nurse who got the wicket of Malik in the 16th over. With 56 runs needed to win off just four overs, things did not go in the warrior’s favour. A 27 runs partnership between Rutherford and Chris Green ended in the 19th over when Green hit a ball, by Reifer, into the hands of Holder. Jason Mohamed, who replaced Green, soon followed after just two balls in the same over, after being caught by Dwayne Smith. The very next ball saw Rutherford’s efforts coming to a halt, after edging the ball to the wicketkeeper, rounding off Reifer’s five-wicket haul for a mere 20 runs. 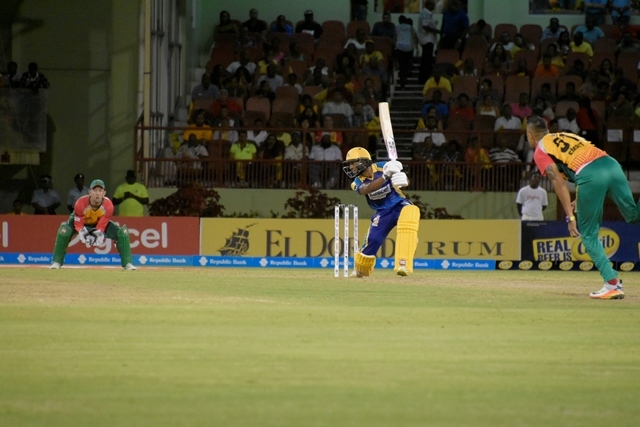 Match summary: Barbados Tridents 185 for 4 (Hope 88, Pooran 45*, Steven Smith 41) beat Guyana Amazon Warriors 155 for 8 (Rutherford 48, Malik 38, Reifer 5-20) by 30 runs.